This post is based on a great talk given by Jared Fliesler, formerly VP of User Acquisition at Square. How do you begin thinking about growing your startup or product? "Build it and they will come" is long gone and "Be user centric" has taken over product development but what frameworks do we have to think about growth and user acquisition specifically? These 4 simple steps, starting from the most coarse to the somewhat finer grained, should get your feet firmly planted and your mind pointed in the right direction. Every product has a single core user experience, a set of finite steps that represent a successful use or transaction. 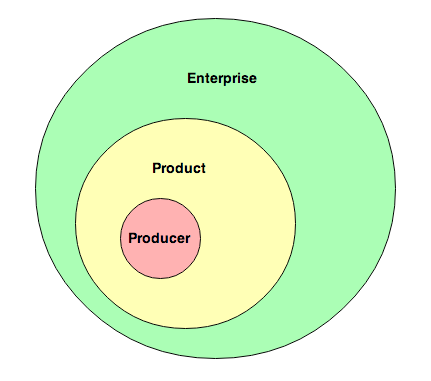 If you had to define your product's use in as few steps as possible, what would it look like? What happens after the use is complete? Ruby Explained: Blocks, Procs, and Lambdas, aka "Closures"
One of the most confusing parts of learning basic Ruby (until your AHA! moment) is understanding what blocks are and how they work, mostly because it's something you probably haven't ever seen before trying out Ruby. It shouldn't be, because they're actually pretty simple. You HAVE already seen them before... they are commonly used as inputs to some of the iterators you've no doubt worked with like each or map. Here, you'll learn more about blocks and also about their lessor known cousins, Procs, lambdas and Methods. By the end, you should be comfortable working with blocks and writing your own methods that take them. You should understand when you may need to use a Proc instead and the basics of the other two options -- lambdas and Methods. You're able to break up your code into methods and classes but you'll also need to think more explicitly about which variables and methods are accessible where. I started talking about that concept a little bit in the previous post on classes, which dealt with the differences between class methods/variables versus instance methods/variables and the idea of inheriting the methods of a parent class. Here, you should take that general understanding and build on it further. In a similar vein, you'll also learn more about how you can shield certain methods from being usable from outside of a class. You started learning about that idea when we used attr_accessor to make instance variables "visible" from outside your instance, but we'll dive deeper here and give you more tools to very explicitly decide what you do and don't want to show to the world.